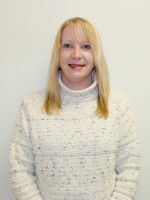 Joy L. Kenny, a radiologic technology student at West Virginia Northern Community College, has been selected to participate in the American Society of Radiologic Technologists 2014 Student Leadership Development Program. Kenny, of Wellsburg, will receive an all-expenses-paid trip to the ASRT Educational Symposium and Annual Governance and House of Delegates Meeting June 26-29 in Orlando, FL. In addition, Kenny will attend two educational courses specifically designed for students and be assigned a professional mentor during the House of Delegates meeting. According to Misty D. Kahl, WVNCC Radiography Program director and assistant professor, Kenny is a second-year student in the program and her selection “is a great honor for Joy as well as for Northern.” She was one of only 75 students chosen from throughout the country. At Northern, Kenny was named to the Dean’s List three times and was inducted into the Phi Theta Kappa International Honor Society, all while working full time. She has been awarded the Hershel C. Price Educational Foundation scholarship for three semesters. Kenny entered the U.S. Army after her high school graduation, got married and started a family, became an insurance agent after leaving the military and put off her college career for another 11 years. She plans to graduate from WVNCC in May. The ASRT represents 152,000 members who perform medical imaging procedures or plan and deliver radiation therapy treatments. The society also provides radiologic technology students with the tools, services and support they need to prepare for careers in medical imaging and radiation therapy. “The Student Leadership Development Program gives medical imaging and radiation therapy students the opportunity to experience firsthand how the ASRT governance process works,” ASRT President Julie Gill said. “While in Orlando, students will network with radiology leaders, participate in educational activities and learn from seasoned radiologic technologists. It’s a great way for students to get involved early.” For more information about the ASRT and opportunities for radiologic science students, visit www.asrt.org/students.